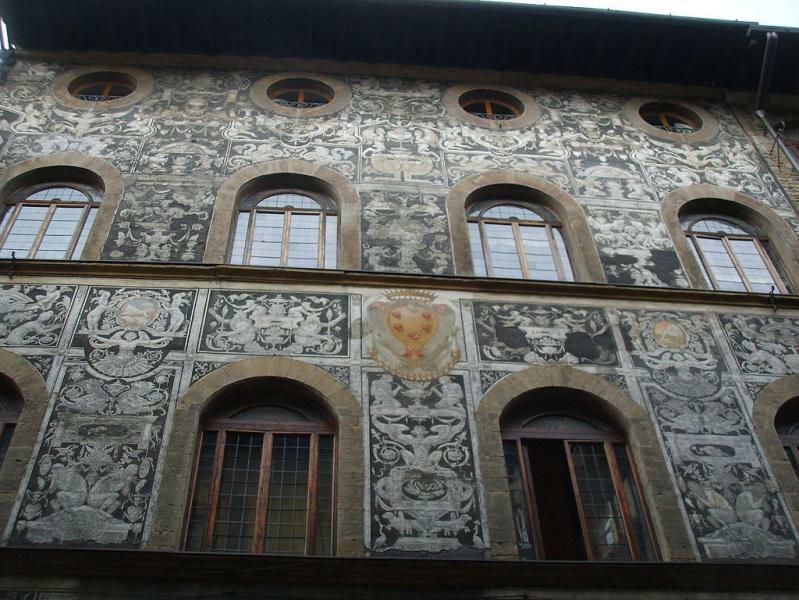 One of the most beautiful façades in Florence belongs to the palazzo given by Grand Duke Francesco de' Medici to his lover, Bianca Cappello after the death of her husband. Built (or some say renovated) by Bernardo Buontalenti, it was conveniently close to his residence the Pitti Palace, all the more to torment his unloved wife, Joanna of Austria. The sgraffito decoration was added by Bernardino Pocetti, a master of art, who (naturally) including the Medici 'balls' and the Cappello ('hat' in Italian) hat crest, along with a full encyclopaedia of Renaissance fancies.